I’m thrilled to be working with Mark Bennett again as Associate Composer. Fellow Northwestern alumnus Curtis Moore is Music Coordinator and Director. The Bridge Project is a co-production of London’s The Old Vic, Brooklyn’s BAM and Sam Mendes’ Neal Street Productions. 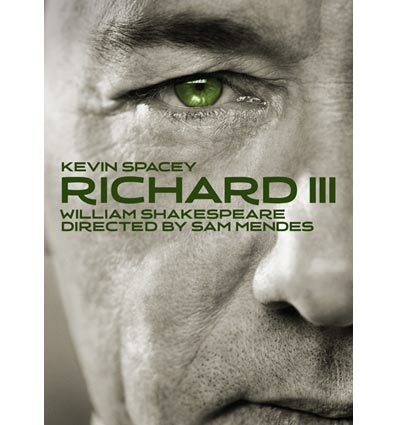 Richard III opens at The Old Vic and tours Athens & Epidaurus Festival, Spain’s Centro Niemeyer, the Hong Kong Arts Festival and Singapore Repertory Theatre (more locations TBA), finally arriving at BAM’s Harvey Theater in Brooklyn January 2012. Sam Mendes directs. Sound design is by Gareth Fry. Associate sound designer Ross McRoss. Set by Tom Piper, lighting by Paul Pyant, costumes by Catherine Zuber, and projection by Jon Driscoll. June 2011. Tags: composer, consultant.